TeamXodus and DS-X have annouced their first NDS flashcart that will be coming on the market shortly. This comes along side several other NDS flash carts that are the same size as the NDS game cartridge!This new wave of devices comes with drawbacks such as requiring a flashed NDS or a small memory capacity. However, the DS-Xtreme Flashcart will supposedly feature built-in passme support. We originally started to see Passkey/Passme devices form into this new slim, small shape of the NDS cartridge, but it has become a much more popular with development teams using it as a full flashcart. Such products as the NinjaPass, NinjaDS, Ultra Flash Cart, and DSLink have all been housed in a DS cart-sized shell. It gives us great pleasure to welcome to market a brand new development group focusing on a unique range of products for the Nintendo DS. Recent months have seen a close co-operative relationship between Team Xodus and DS-X. As you would expect from such a close and intense joint development, the first product, DS-XTREME is completely unique and way ahead of anything at all that is currently out on the market or even being promised for release. Check out their new web site www.ds-x.com for details and product features, guaranteed to cause extreme shock waves in the industry. We would like to officially congratulate DS-X on their launch and wish them well for the future. 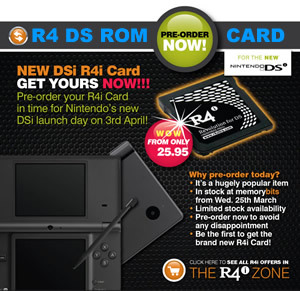 "Our ingenious team are delighted to unveil what can only be regarded as the finest example of innovation and quality to grace the DS enthusiast scene. 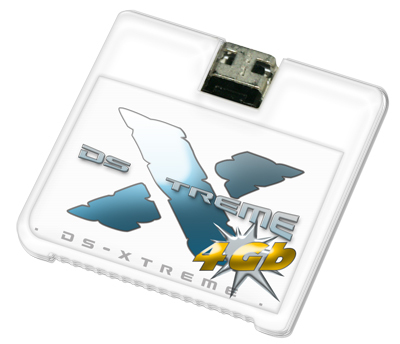 The DS-X (DS Extreme) is a flash cart like no other, just one bespoke single regular DS cart sized device with an exquisitely crafted design opening up an array of possibility on your DS or DS Lite console as never seen before. Right out of the box the DS-X offers un-paralleled functionality, possessing 4Gbit (512 Mbyte) of memory space, a high speed USB 2.0 in-built connection and a full sized onboard EEprom complete with some serious custom engineering, all of which is enclosed in a specially tailor made durable DS cartridge case. No PC software required, No external memory, No Passme or GBA cart needed, just drag and drop your favourite DS media or homebrew files 'til your heart is content, navigating through them with our savvy custom operating system featured onboard the DS-X – it just couldn't be simpler!